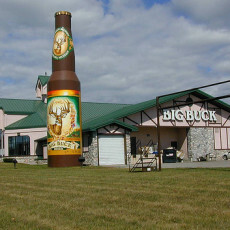 We are proud to carry our own exclusive brand of Big Buck products. Our company is leading the liquid industry, using only the finest ingredients to handcraft and produce the finest super premium line of artisan spirits, beer, wine, soda, still and sparking water, cocktail mixers, and bath and body products. Our award-winning line of products is expanding every day via our laboratory group. Our research and development team is using proprietary techniques, creativity, and love and passion for their product line in development of new and exciting beverages. 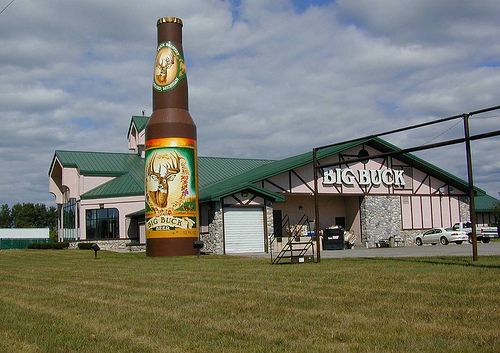 We complement our line of liquids with a casual family dining experience, quality food, and excellent service. Our culinary menu has something for everyone. Start your meal off with a tasty appetizer, like our Beer Wings, Scottish Eggs, or the Hungarian Calamari. In addition to our wide selection of premium proteins, our chefs offer a variety of vegetarian, seafood, and pasta dishes. For lunch, try our famous Brewmaster Burger, delicious sandwiches, or one of our wonderful salads. Complete your meal with one of our delectable desserts. Please see the upper left corner of this page for our menus. We combine culinary delights, Northern style, the finest super premium products, and personal flair to create a unique experience every time you visit us. We strive to make each visit satisfying and memorable. See the photo gallery to explore our restaurant.